Safari 3 Public Beta is now available for Mac OS X Tiger 10.4.9 and, in case you haven't heard, Windows XP and Vista! 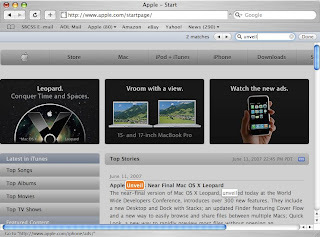 While that's really cool in and of itself, this article will focus on what's new in Safari 3 Public Beta for Mac (version 3.0, build 522.11, released 11 June 2007), and will examine whether it's worthwhile to install the beta version on your Mac and whether it's truly a "Firefox killer" as Apple would have you believe. That's right. Inline searching. But not only that, this is multiple occurrence inline searching, which means that every instance of your search term will be highlighted at the same time. (Firefox has a similar feature, but it's not enabled by default and it's really ugly in comparison.) Safari's visual effects are very cool, too: the rest of the page dims to make the matching phrases stand out, and each time you press Return or Enter (or click on an arrow next to the number of matches found), the next instance on the page is highlighted with an eye-grabbing 3D "pop" effect as the white highlighting switches to a bold orange highlight with white text. If there are more than 100 matches on the page, then only the active occurrence is highlighted (in orange). If there are fewer than 100 occurrences of the search term on the page, the current match is highlighted in orange while all other matches are highlighted in white (or with a white border, if the page background is dark). Unfortunately, at least as of the current Public Beta, Apple has chosen to not include recovery of individual tabs, even though (in my experience, at least) it's much more common to accidentally close a tab than to close an entire window. On the other hand, since tabs aren't enabled by default in Safari 2, a lot of users probably don't use them anyway, so they might find the Reopen Last Closed Window feature much more handy than I do. 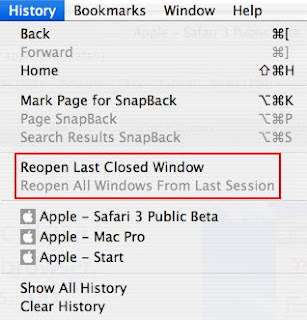 The "Reopen All Windows From Last Session" feature (which becomes enabled after you quit and reopen the application) is again a great addition to Safari, although it would have been nice to see a feature in the Preferences to do this automatically when Safari starts up like Firefox, Opera, and Netscape can do. The biggest change to tabbed browsing is that you can drag a tab out of the tab bar and into its own window, which is a pretty cool trick. You can also do this by selecting "Move Tab to New Window" from the Window menu, or you can "Merge All Windows." Also, users can now reorder tabs in a window just by dragging them around—yet another feature found in other browsers that's finally making its way to Safari. Strangely, Apple has chosen not to include the Google-based anti-phishing functionality that was announced at last year's WWDC, and which has been rumored to be included in private developer builds of Mac OS X 10.5 Leopard since last October. There doesn't seem to be any mention of Safari's planned anti-phishing capabilities on Apple's updated Leopard pages. Was the feature canned, or is it still undergoing private testing and just wasn't ready for inclusion in the public beta? Time will tell—Leopard is still on track to ship in October, just four months away. For what it's worth, Internet Explorer 7, Firefox 2, Opera 9, and Netscape 8 and 9 all include features to block fraudulent Web sites, so if Safari 3 does not include this, it would be the only major cross-platform browser to not do so. Anti-phishing protection would be a natural complement to the rest of the new security features in Leopard, so I hope to see it in Safari 3 when Leopard ships. Safari 3 Public Beta comes with an installer package that replaces Safari 2.x on your Mac. It also comes with an uninstaller, so you should theoretically be able to revert to Safari 2 without any problems, although I haven't tried it yet. If you decide to install the public beta, you might want to make a backup copy of the old Safari application first and put it in a safe place. UPDATE, 14 June: If you want to restore Safari 2, please read these instructions first. Another note about the installation process: a system restart is required, which some people may find annoying in some cases. Plus, the fact that the beta comes with an installer (as opposed to just a drag-and-drop app), combined with the fact that the install requires a restart, seems to strongly indicate that something other than the Safari application itself is changed by the installer (presumably the WebKit underpinnings). If that scares you, you may want to avoid this. On MacFixIt, many users (especially those with G5-based Macs) report problems getting Safari 3 Public Beta to launch, but your mileage may vary. For what it's worth, it's working fine for me on my first-generation MacBook Pro (Core Duo). Also, if you rely heavily on third-party plug-ins or Safari add-ons, you might want to wait on testing Safari 3 Public Beta because several add-ons may not work with the new version yet. If your company has a policy against installing beta software, if your system is used as a critical file or print server, if it would be a major setback to you if Safari stopped working properly, or if you're a highly paranoid or anxious person, it's probably not wise to throw beta software onto your machine. 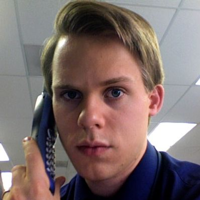 Is Safari 3 a "Firefox killer"? Apple sure advertised it as such in Steve Jobs' WWDC keynote, showing a market share pie chart with Internet and Explorer and Firefox, which switched to a pie chart showing Internet Explorer and Safari instead (implying that Apple would like to totally wipe out Firefox, which is obviously a pipe dream). I've been a Firefox user for years, and I love it. Sure, it's not as "Mac-like" as Safari or Camino, but I'm addicted to certain extensions (Adblock, Filterset.G Updater, and Flashblock) that provide functionality that just doesn't exist in Safari. And yes, I'm aware that there are Safari add-ons that can add these features, most notably PithHelmet, but 1) it's not free like Firefox extensions are, and 2) whenever there's a major new update to Safari, PithHelmet (like other add-ons) often totally breaks the browser until the third-party developer releases an update. Not everyone wants ad blocking in particular, but that's beside the point—the point is that Safari is just not as extensible as Firefox, and power users may find its lack of easy extensibility frustrating. Web developers will probably start using Safari for Windows to test compatibility with the default Mac browser, and speed freaks might switch to Safari because of its speed, but don't expect Safari to completely overtake Firefox's market share anytime soon. For more commentary on Safari 3, tune into the Tech Pulse podcast, which debuts LIVE this Saturday, June 16, 2007, at 5 PM Pacific (8 PM Eastern). Tune in at that time via talkshoe.com. Well, you did a great job writing this article and it really helped me a lot. I am right now surfing with Safari3 Beta and it's again a pleasure. The speed is increased and I love the new way of searching in a document.